AA Car Insurance South Africa is an extension of the Automobile Association of SA, a well-known and trusted brand in the country. It sets itself apart from other car insurance companies by offering simple and convenient insurance products that leverage on the great Automobile Association of South Africa’s long history. Their trademark yellow is easily recognizable, and whenever you’re feeling gloomy because of you car accident, let AA Car Insurance South Africa brighten up your mood. Being a client of the AA will benefit you greatly, especially with some of their convenient products, which at first you might not consider as useful, but later find a 24 hour roadside assistance line is quite useful for example. AA Advantage + membership is also included in all your policies while you are insured. You can get AA’s car insurance quotes on any of their different products. The best option for you is to compare between what the AA offers, and what other car insurance companies have. With the AA, a comprehensive policy will cover you when your vehicle is in an accident, stolen or hijacked; compensation for accidental damage to third parties and yours of their property. Because the AA understands the South Africans love traveling, they welcome anyone to take up a policy with them. Insurance driven by the AA goes beyond our borders and gives you access to all their wonderful benefits like roadside assistance, travel insurance, and you can always ring up their call centers to get you directions on your road trip. This package, the off-road vehicle cover, is best suited for travelers. The AA is one of the best car insurance companies in South Africa. 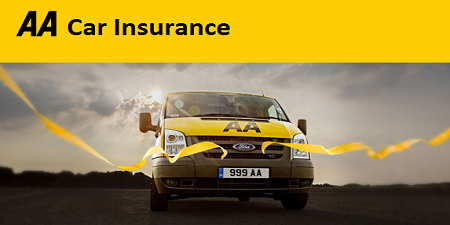 “Insurance driven by the AA” is a popular tag line and for good reason, AA Insurance can cover everything you drive: a caravan, any passenger vehicle, a trailer, a motorbike, and even watercraft…which you sort of drive. All of AA Insurance SA’s products come with their Advantage PLUS membership. Looking back, this was possibly South Africa’s first roadside assistance programme through the Automobile Association. It’s found its way into insurance now, and is easily one of the most popular benefits of any car insurer serious about offering great service to clients. AA Insurance opens many other doors like discounts on holidays, and preferential premiums on the AA’s other insurance products. Also, if you have a spouse or you beneficiary wants to be part of the AA’s benefits programmes, you will also get discounts. These can supplement existence programmes if your spouse or beneficiaries have car insurance from other companies.